GUILLAUME CARAMELLE (Montmorency, FRANCIA, 1986). En febrero de 2018 termina su tercer cortometraje, "One Night", con Dorcas Coppin y Baptiste Caillaud. En 2017, dirigió el corto "Nikki Marianne", con Tess Boutmann y Oscar Berthe, con el que obtuvo múltiples selecciones en festivales. En 2015, produjo "l'Innocence des grands and a play, Diktat" a través de su productora Polygone Video, creada en noviembre de 2013. En 2014 dirigió "(Not) Just Another Night", un mediometraje que dio a Baptiste Caillaud, el protagonista, dos premios.Guillaume es graduado por el Instituto de Ciencias Políticas de Lyon y tiene formación en cine en la Paris VIII University. GUILLAUME CARAMELLE (Montmorency, FRANCE, 1986). In February 2018, Guillaume Caramelle finished his third short film, "One Night", with Dorcas Coppin and Baptiste Caillaud. In 2017, he directed his short film named "Nikki Marianne", with Tess Boutmann and Oscar Berthe, selected in a lot of festivals. In 2015, Guillaume produced a short film, "l'Innocence des grands and a play, Diktat", through his audiovisual production firm, Polygone Video, created in November 2013. 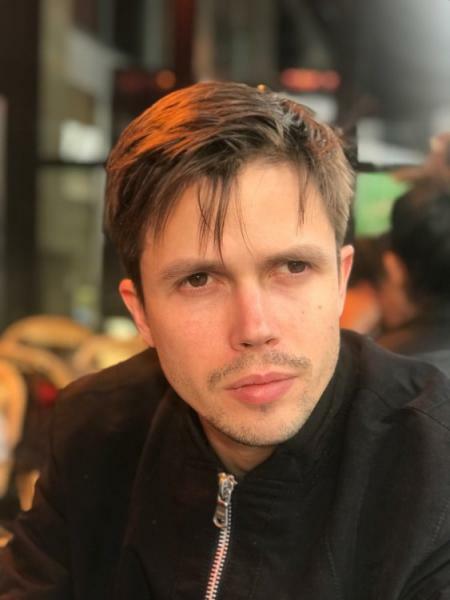 In 2014, he directed his first film, "(Not) Just Another Night", a medium-lenght film, which gave to Baptiste Caillaud, the main character, two interpretation prizes. Guillaume is gratuated of the Institut d'Etudes Politiques of Lyon and has a cinema license from Paris VIII University.